Its density is less than 1300kg/m3 but its bending strength and impact resistance is excellent. 2) Fireproof: Conforms to the national grade A1 standard (GB8624-2006 Grade A1). 3) Water resistant: The product is allowed to long-term expose to moist environment. Dry bending strength is 15Mpa. Bending strength under absorbed moisture is 22Mpa. 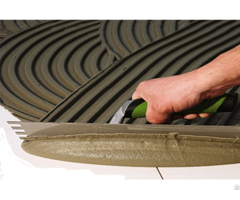 4) Invariability: Resistant to deformation in wet, hot and dry conditions. 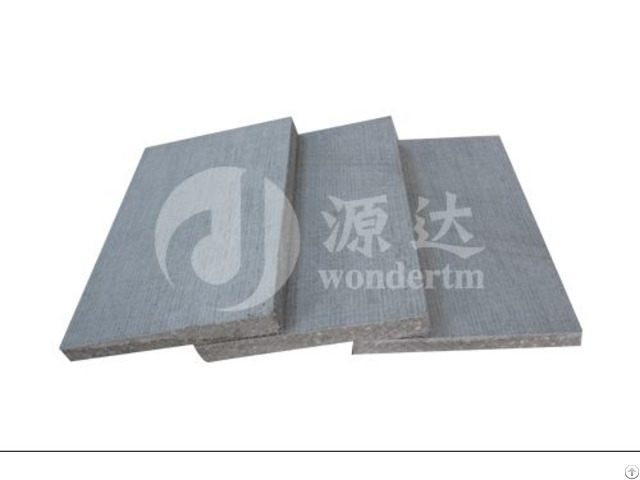 5) Sound insulation: Sound loss through a 9mm thick board -42dB. 7) Durability: Resistance to corrosion, acid and alkali, long lasting strength. 8) Frost resistance: Can be exposed at -40 degree. 9) Easy installation: Easy to cut, saw, nail, drill, stick, and paint. 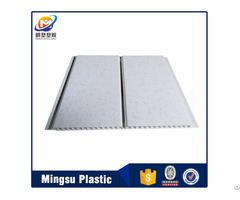 The board has unique smooth and rough surface, the form finish can be sticked with wallpapering, aluminium panels, veneer, pvc, or get painted or sprayed, while the later for tile, marble, granite, etc. 10) Environmentally friendly: Free of asbestos, formaldehyde, ammonia and other harmful substances. The board provide good insulation against insects(including termite), fungus and corrosion. 12) Dehalogenation and mildew: No water drops or moisture.